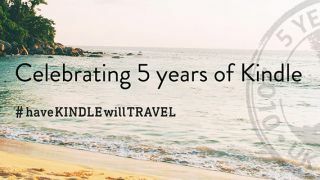 Amazon celebrates the Kindle store's fifth birthday today by releasing a top 50 list of best-selling ebooks. Unsurprisingly, 50 Shades of Grey by E.L. James makes the #1 spot of most popular book of all time, proving the Kindle allows for very private reading indeed. Have a look at our Kindle Paperwhite review to see what we thought of their latest offering in the Kindle hardware range.